Nimble is Hiring! Be Part of the Nimble Journey! It’s exciting times here at Nimble! We’re reimaging Simple Smart CRM for Office 365 and G suite to help busy teams and professionals like you to connect, engage, nurture and close more deals. We’re growing because our customers are succeeding, and we’re honored to be part of their journey. We’ve got ambitious plans for 2018, and we’re looking for some new rockstar team members to help us realize our vision. We’re seeking a motivated, fun-loving candidate for our Content/Social Marketing Manager position as well as our Marketing Associate position. Additionally, we’re also looking for smart, empathetic, and ambitious individuals to join our Customer Success team. We’re also offering aspiring professionals internships in social media marketing and channel enablement. If I’m describing you or someone you trust, and you’re keen to soak in the Santa Monica, California sun, let’s talk! Email us at careers@nimble.com. I believe we’re all here to grow, which is why Nimble offers all our employees ample growth opportunities, generous benefits, and compensation commensurate with experience. 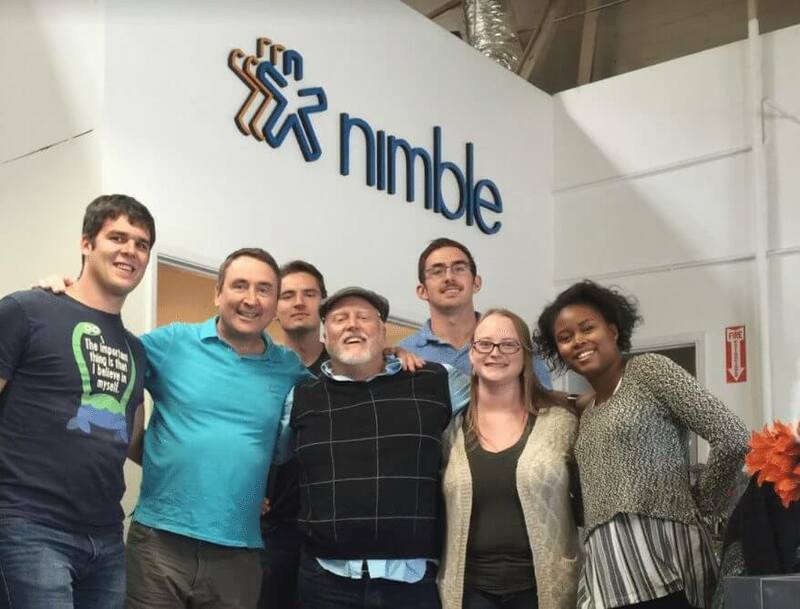 Ranked #1 B2B Tech Company in Los Angeles, Nimble is a late-stage startup that offers all our employees ample room for growth. The company is headed by relationship management and CRM pioneer Jon Ferrara and is reimaging relationship management software to help busy professionals like you to network more effectively and foster relationships that help you grow. We’re a small team on a journey to help people build their businesses and business relationships by giving them a platform that is easy-to-use and work for them, instead of the other way around. We are spread across two continents and several US cities. If you are ready to be part of something BIG, we want to talk to you!